Really need to be doing more of this right now. I feel like the 14 months straight of work+nursing school is finally catching up with me, and it’s tossing me over the edge into an abyss of stress and overwhelmedness. I’m kind of a snarly mess right now. I need to start practicing those relaxation techniques that I had to learn in the first semester of my program. 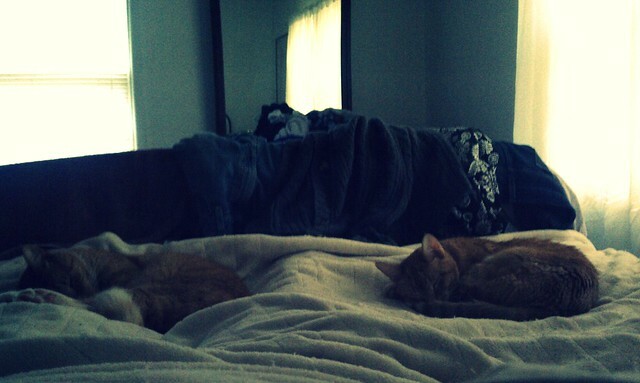 Napping in a quiet house, bookended by kitties, definitely helps me relax. I should do more of that.